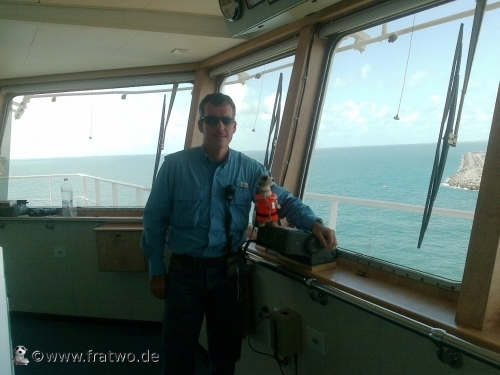 On Feb 11 Fred embarked on the cargo ship MSC Angela, where he has been welcomed by the whole crew, accompanied by MSC Argentina Agent Rubens. 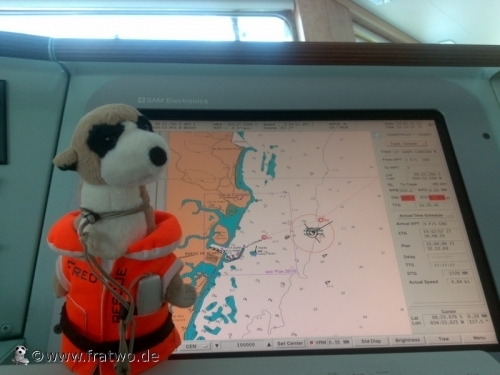 He has been quite mysterious with regards to his week in Buenos Aires, and he mostly slept and eat during the whole navigation toward Suape Port (state of Pernambuco, Brazil). Fred has been very busy doing ‘public relations’ on pier today, as he’s always looking out for interesting new mates to sail toward new adventures. Tomorrow is due out in town with MSC crew, they are looking forward to it. MSC Angela is set to leave soon toward Caucedo, Freeport, Charleston and NY (ETD March 11) and then back to Buenos Aires (ETD April 4).